Welcome to the Vacation Destination that everyone is talking about. Browse through our site for a small taste of what is waiting for you here. 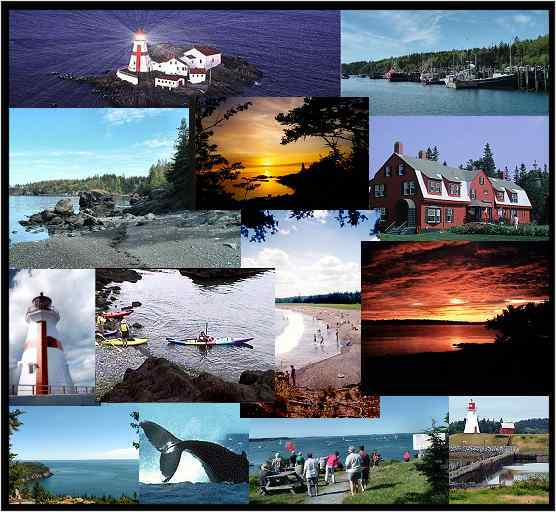 Campobello Island, a name to remember and a place you will never forget. front property or Sunrise water front property. Popular with residents of the United States. ocean coastline, unspoiled, unpoluted, fresh ocean breezes, beautiful star lit nights, peace and quiet.